Tuscaloosa is a city in Metropolitan Alabama and home of the University of Alabama. Birmingham Airport serves a majority of residents and students. It is about an hour's drive north east from Tuscaloosa, an hour and a half going the speed limit. Birmingham International Airport, 5900 Airport Hhwy, Birmingham, (205) 595-0533, Email: [email protected], . The closest airport with commercial airline service is in Birmingham, 60 miles north-east of Tuscaloosa. It is Alabama's largest airport serving the Greater Birmingham area and surrounding Southeastern cities. More than 160 arrivals and departures to major cities throughout the United States are offered daily. Tuscaloosa Regional Airport, 7601 Robert Cardinal Rd, Phone: (205) 349-0114, (205) 349-3991, Fax: (205) 349-0124. Conveniently located 3 miles from downtown the Tuscaloosa Regional Airport is positioned to serve a 10 county West Alabama area including the cities of Centreville, Demopolis, Eutaw, Fayette, Gordo, Greensboro, Northport, Reform and Vance. The Tuscaloosa Regional Airport consists of 724 acres of land, a 6499’ x 150’ all weather runway, a 4001’ x 150’ secondary runway, a control tower, a terminal building, a fire/crash station, two FBO’s (Bama Air and Dixie Air), Thrasher Avionics, and Avis Rental cars, as well as numerous hangars for private planes and corporate jets. There are 100+ planes based at the airport. Ample space is available for the construction of additional hangars and light manufacturing, with direct access to runways, railway and Interstate 20/59 via the Black Warrior Parkway. Amtrak, (TCL), 2105 Greensboro Ave, . Tuscaloosa can be reached going North or South on I-59 and East or West on I-20. Greyhound  2520 Stillman Blvd, (205} 758-6651, Greyhound Package Express: 205-758-6653, Greyhound Charter: 800-454-2487. Hours Of Operation are subject to change. Please call to verify hours before making travel arrangements. M-F, 7:30AM-6PM, Sa 7:30AM-5PM, Sun 7:30AM-9AM, 1:30PM-5PM, Closed on Holidays. Tuscaloosa is located on the Black Warrior River. It can traveled upon from the Tombigbee River. The best way to get around the city is by car, although the Tuscaloosa Transit Authority  also offers a trolley service. Silver Leaf Luxury Limousine Service, (205) 702-4566, Email: [email protected], . Stardust Limousine Service, Inc., (205) 349-5466. 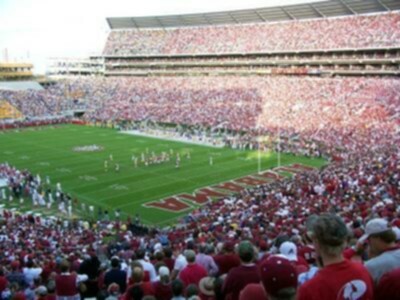 Bryant-Denny stadium has now been expanded to seat over 101,000. Moundville Archeological Park, , (205-371-2234), Email: [email protected] Moundville Archaeological Park is located 14 miles south of Tuscaloosa, Alabama, on Highway 69 South. The park is open daily from 8AM to 8PM. The Museum is open from 9AM to 5PM year-round. This 320-acre park includes nature trails, Indian Villages, and a museum. An internationally known National Historic Landmark, Moundville contains 20 prehistoric Indian mounds and an archaeological museum which displays some of the finest Mississippian-era artifacts ever found in North America. Self-guided tour handouts are given to each visitor free of charge. A complete tour of the park will last 2-3 hours. Tour guides are available with advance notice at a reasonable price. Guided tours last about two hours. Bear Bryant Museum, , 300 Bryant Dr, 1-866-772-BEAR (2327), (205) 348-4668, Fax: (205) 348-8883, Email: [email protected] Celebrate more than 100 years of Crimson Tide football revealed through photographs, uniforms, and sports memorabilia. Westervelt-Warner Museum of American Art, , 8316 Mountbatten Rd NE, (205) 343-4540, fax: (205) 343-4119, Email: [email protected] The Westervelt-Warner Museum of American Art celebrates significant American historical events and figures. Among the exhibits are hundreds of paintings, sculptures, artifacts and antiques by world-renowned artists. The collection includes portraits of George Washington, Thomas Jefferson and Marquis de Lafayette, for which the subjects actually sat. Also on display is silver fashioned by Paul Revere, furniture designed and made by Duncan Phyfe, Charles Honore Lannuier and Joseph Barry, among others. Alabama Museum of Natural History, , (205) 348-7550, Tu-Sa 10AM-4:30PM. The Museum is on the corner of Sixth Avenue and Capstone Drive on The University of Alabama campus in Tuscaloosa. Experience the natural diversity of Alabama through exhibits from the Age of Dinosaurs, the Coal Age, and the Ice Age. View extensive collections of geology, zoology, mineralogy, paleontology, ethnology, history, and photography. See the Hodges meteorite, the only meteorite know to have struck a human. Mercedes-Benz U.S. International, (888) 286-8762 or (205) 507-2252, . Tour the Visitor Center/Museum and Factory in this state of the art automotive manufacturing facility. This factory located in Tuscaloosa County manufactures the 2nd generation M-Class and the newest members of the Mercedes-Benz line, the R-Class and GL-Class using Mercedes-Benz U.S. International’s original production system which is a combination of American, Japanese, and German automotive best practices. Visitor Center/ Museum M-F 9AM-5PM, closed Sa Su and Holidays. Factory Tours have been temporarily suspended due to the new plant construction, but are scheduled to resume in 2006. The University of Alabama, . The University of Alabama, also known as Alabama, UA, or Bama, is a public coeducational university located in Tuscaloosa. Founded in 1831, UA is the flagship campus of the University of Alabama System. Within Alabama, it is often called the Capstone. UA is the senior doctoral university in the state. Today, it is one of the state's three major research universities. Alabama offers programs of study in 12 academic divisions leading to bachelor's, master's, Education Specialist, and doctoral degrees. The only publicly-supported law school in Alabama is at UA. 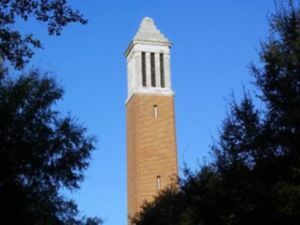 Other academic programs unavailable elsewhere in Alabama include doctoral programs in anthropology, library and information studies, music, Romance languages, and social work. See a University of Alabama football game . Game Day on the Quad is a not-to-be missed event; among a sea of crimson-clad fans, the smell of hamburgers, hotdogs and barbecue waft from many tents. Saying a heartfelt "Roll Tide" might even earn you a lunch. Or, you can just shout "Roll Tide" into the crowd, and hear the enthusiastic response. Lake Lurleen State Park, , 13226 Lake Lurleen Rd, Coker, (205) 339-1558, (800) 252-7275. Lake Lurleen State Park is located 9 miles northwest of Tuscaloosa. It is a perfect site for family outings and overnight camping trips. This lake has 91 campsites, picnic areas, beach area complete with a bathhouse and park store, and over five miles of hiking trails. Canoes, fishing boats, and paddle-boats are also available for use on the lake. Mimosa Golf Course, 5700 18th Ave, (205) 752-8112. University Of Alabama Golf Course, 15th St, Lighted driving range. River Road Park East  and River Road Park West are connected by the Riverwalk Path. They overlook the Oliver Lake segment of the Black Warrior River along Jack Warner Parkway. Both parks have an abundance of grills, picnic tables, and benches. River Road Park East can be found at the bottom of Hackberry Lane. It features an overlook pier. a separate fishing pier, and a pavilion with eating tables and an extra large grill. River Road Park West features a large elevated gazebo. The whole area is very well lit after dark with modern traditional style street lamps. Ruan Thai An authentic Thai restaurant in a beautiful old home-turned restaurant on the Strip. Excellent porch and yard for dining in the warmer months, along with excellent food year round. Hooligans Located between the "downtown" area and the Strip. Best burgers in the area, and at a bargain. Also serve Mediterranean food. Gyros, wraps, hot wings, top notch hummus, babaganoush, and more. Its eclectic in choice and delicious in taste, no matter the order. Surin A Thai restaurant and sushi bar on the strip. Quick grill A small kiosk in front of Publix on the strip. Greek food is their concentration (lamb, falafel, hummus, etc. ), but you can also get everything from french fries to chicken. They're open very late. Full Moon barbeque Located off of 15th street, this restaurant provides BBQ that is out of this world. Try the fried green tomatoes or one of the several baked potatos that are the size of a small football. Lai Lai1205 University Blvd (205) 345-2472. Located on the Strip next to Pepito's. Great Take-out Chinese food as well as some authentic Chinese specials at very good prices. Also Serves Bubble Tea/Boba. TCBY Located on the strip at the corner of 12th Ave. and University Blvd. Mugshot's A great restaurant bar and grill with famous hamburgers. Try their best burger, the McDonald. The Crimson Café The best coffee on the Strip. They roast and grind their own coffee in-house, and have a deli-style menu. Located on the Strip across from Egan's and the Hound's Tooth. The chai milkshake is very popular, but tends to sell out very quickly and may not be available for days at a time. Recently Crimson Cafe has started offering alcoholic coffee drinks. Café Venice Half-priced pizza and wine on Wednesday nights, a great pre-game for the beginning of the weekend. City Cafe in Northport, 408 Main Ave, Northport, (205) 758-9171. Fried green tomatoes, okra, yams, barbecue, beef stew. Pick your vegetables and your meat, a huge meal for under $6. There's normally a long line during lunchtime, but don't let that fool you. A free table becomes a free for all, so be aggressive. Sweet tea flows freely. Also, don't forget to check it out for breakfast. Dreamland BBQ, 5535 Fifteenth Ave E, (205) 758-8135, . Known nationwide, Dreamland is a must if you're looking for cuisine that is uniquely Tuscaloosa. Be prepared though--the original location only serves ribs, slices of white bread, and banana pudding, but boy is it good! Pepito's on the strip. I believe that part of their cleaning regimen every night is to carefully tilt all the pictures on the wall so none is slanted at the same angle. Great Mexican food, and you can sneak a peek at the telemundo or Univision playing on the TV behind the bar. The Cypress Inn, 501 Rice Mine Rd N, (205) 345-6963, . Located near the Black Warrior River. From the open air porch looking out over the landscaped entrance and the river to the outdoor dining area, every detail here is designed to make your dining an experience, not just a meal. The menu consists of fresh fish, steaks, pastas, and homemade desserts. Great place for banquets. Buffalo Phil's, 1149 University Blvd, (205) 758-3318. Located on the strip and right next to campus. Buffalo Phil's has world-famous buffalo wings and chicken fingers and provides a quaint atmosphere. Buffalo Phil's has been a presence on the strip for more than twenty years. Great drinks, great food. Swen. Chinese food, located in the Strip area. Mike and Ed's. Barbeque restaurant now located on 15th St.
Tut's. Located on the Strip, serving gyros, calzones, subs, pizza and more. Many of the popular bars in Tuscaloosa are not true bars, but are instead restaurants that serve more alcohol and less food as the night goes on. Since they are not classified as bars, people under 21 may be allowed in, though they typically will be turned away after 10:00pm (when it becomes too crowded for the staff to keep track of who is underage). They may also ask people under 21 who are already present to leave at 10:00. The Strip, a row of bars and shops along University Dr. just off campus. The Houndstooth is a sportsbar that was recently voted by Sports Illustrated as the number one college sports bar in the nation. Gallete's doesn't have a sign on the front, and is one of the most popular student bars around. The Jupiter has mediocre food but good events and dancing all week long. The Strip is arguably geared more towards University of Alabama students due to its proximity to campus. Downtown - Tuscaloosa's downtown bar scene includes establishments around the corner of 4th Street and 23rd Avenue including '4th and 23rd', Boo Radley's, Rhythm and Brews, Mellow Mushroom, Wilhagan's Sports Bar, and Little Willie's. Just a block southwest of this area around the corner of 6th Street and Greensboro Avenue you'll find Mugshots, Innisfree Irish Pub, Catch 22, and Jazzi C's. Microtel Inn & Suites Tuscaloosa/University of Alabama, 1417 Veterans Memorial Pkwy, (205) 553-4095, Fax: (205) 553-4096, . Near University of Alabama campus, rooms include in room coffee maker, hairdryer, iron and ironing board along with Flat Panel HDTVs. Bama's Gameday Center, 712 12th Ave, (800) 693-8204, (205) 344-9299, Fax: (205) 366-1692, . Enjoy your stay in Tuscaloosa with fully furnished luxury condominiums. Offer studio, one, two and three-bedroom suites for short-term rentals. Within walking distance to University of Alabama, restaurants, shopping and entertainment. Best Value Inn, 3501 McFarland Blvd, 888-315-BEST, (205) 556-7950, Fax: (205) 556-5119, . Centrally located next to Shoney's Restaurant. Inn features: copy and fax service, 25" TV, alarm clocks, cable or satellite television, wake-up service, Value Club Card. Best Western Catalina Inn (Northport), 2015 McFarland Blvd E, (205) 339-5200, (800) 528-1234, Fax: (205) 330-1335, . The Best Western Catalina Inn offers 37 rooms with King or Double size beds. Each room is equipped with cable TV including Showtime. They offer special rates for tour groups, senior citizens, government and corporate emplopyees. Small pets allowed at Manager's discretion. Complimentary Continental Breakfast, 24-hour restaurant adjacent, seasonal outdoor pool, playground, free parking, non-smoking facilities, children under 12 free with adult. Best Western Park Plaza, 3801 McFarland Blvd, (205) 556-9690, Fax: (205) 556-9690, (800) 235-7282, . The Best Western Park Plaza Motor Inn offers 118 rooms with Showtime. They offer rooms and suites with microwaves and refrigerators. Complimentary Breakfast Buffet, complimentary USA Today, meeting room, outdoor pool, jacuzzi, fitness center, safe deposit boxes, photo copy service, valet laundry service, RV and truck parking. Children under 12 free with adult. Located next to O' Charley's. Budget Inn, 2600 McFarland Blvd, (205) 339-3900. Commercial rates. Microwave & refrigerator. Cable TV and truck parking. Comfort Inn, 4700 Doris Pate Dr, (205) 556-3232, Fax: (205) 556-7797, 800-228-5150, . Conveniently located at exit 76 on Interstate 20/59 in East Tuscaloosa. Next door to Cracker Barrel, this property offers free deluxe continental breakfast, outdoor pool and interior corridor. Additional amenities also include; free local calls, free USA Today, in-room workspace, in-room coffee, hair dryers, irons and boards. Pet charge: 10.00/night – must sign pet policy on arrival. Winner of Choice Hotels Prestigious Gold Hospitality Award . Country Inn & Suites, 4801 McFarland Blvd E, (205) 345-9999, Fax: (205) 345-9940, (800) 456-4000, . Country Inn & Suites by Carlson, Tuscaloosa is on I-20 & 59 at exit 73 (McFarland Blvd, East). Has an outdoor pool, fitness center, meeting room to accommodate up to 15 people, business center, two phone lines with data ports, celebration & whirlpool suites including microwave, refrigerator and full kitchen available. Courtyard by Marriott, 4115 Courtney Dr, (205) 750-8384, Fax: (205) 750-8389, (800) 321-2211, . From I-59 east/west - take exit 71A, turn left at first traffic light onto Skyland Blvd. Turn left (behind LoneStar) onto Old Greensboro Rd, then first left onto Courtney Drive. Courtyard is on the right. Amenities include: rooms and suites, nine King Jacuzzi rooms, in-room coffee service, exercise room, meeting room, Courtyard Cafe serving breakfast daily, fax and copy service, lounge. Crimson Inn B & B, 1509 University Blvd, (205) 758-3483, Fax: (205) 758-9937, (877) 424-6622, . Days Inn & Suites, 1201 Skyland Blvd, (205) 759-5000, Fax: (205) 759-9864, (800) 329-7466, . Located next to Sam's Wholesale Club and Wal-Mart. Across from McFarland Mall and Fox 12 Cinema. Easy access to restaurants, banking with ATM. Property features 55 suites, indoor heated pool, 25" TV w/ cable and HBO. In-room coffee, micro fridge in all rooms, complimentary continental breakfast, free local calls, security cameras. Econo Lodge Inn & Suites, 1930 McFarland Blvd, Northport, (205) 330-0345, Fax: (205) 330-0345, (800) 55-ECONO, . Located at the intersection of U.S. 82 (McFarland Blvd) and Hwy 69. behind Wendy's and McDonalds. Property offers 25" remote TV/Cable/HBO, King size rooms with Jacuzzi available. Microwave, refrigerator and hair dryers, free continental breakfast, outdoor swimming pool. EconoLodge Inn & Suites, 4501 McFarland Blvd E, (205) 345-1434, Fax: (205) 345-1434, (800)-55-ECONO, . Exit 73 of I-20/59. Behind Hardee's and Taco Bell. Property has 25" remote TV/Cable, Data port phones, microwave, refrigerator & coffee maker, free continental breakfast, outdoor pool. Shopping Mall and restaurants nearby. Fairfield Inn, 4101 Courtney Dr, (205) 366-0900, Fax: (205) 366-0967, (800) 228-2800, . A National Award winning hotel since 1997. Conveniently located off I-20/59, close to many area attractions and restaurants. Guest room amenities include: Work desk with lamp, data port phones, CATV/Satellite TV, all-news channel, in-room coffee, iron and ironing boards, hair dryers, and complimentary continental breakfast. Four Points By Sheraton, 320 Bryant Dr, (205) 752-3200, Fax: (205) 343-1138, 800-477-BAMA, . Located on the campus of the University of Alabama. The Four Points Hotel Tuscaloosa Capstone offers all the amenities you expect from a full-service hotel. Each oversized guest room comes with a plush terry robe, hair dryer and in-room coffee service. Other Hotel features include: 150 rooms and suites, daily newspaper each weekday morning, room service, club level, full-service restaurant Dining for breakfast, lunch and dinner, outdoor pool and patio area, fully equipped exercise facility, executive business center, adjacent to the Bryant Conference Center. Guest Lodge Inn & Suites, 3920 McFarland Blvd (exit 73), (205) 553-1550, Fax: (205) 553-1550, 800-322-3489, . Located at exit 73 just off Interstates 20 and 59 on U.S. Hwy 82. Banquet facilities to serve 200. Restaurant and lounge on property. Banquet services available. Hampton Inn (Interstate), 6400 Interstate Dr, (205) 562-9000, Fax: (205) 562-9859, 1-800-HAMPTON, . Located off exit 77 (Cottondale Exit) on the east side of Tuscaloosa with convenient access to major municipal, industrial, residential and business districts. Located near Ruby Tuesdays and Pizza Hut. Amenities include: Free Continental Breakfast bar, Free USA Today, Monday-Friday, Free local calls, Full cable TV with HBO, outdoor pool, interior corridors, in-room coffee and special rates for AAA and AARP members. Hampton Inn (University), 600 Harper Lee Dr, (205) 553-9800, Fax: (205) 553-0082, 1-800-HAMPTON, . Located off US Hwy 82, Campus Drive Exit, adjacent to the University of Alabama and D.C.H. Regional Medical Center. This property is next to Bob Baumhower Wings Sports Grill. Amenities include: Free Deluxe Continental Breakfast Bar, offered every morning in the lobby from 6-10AM. Free USA Today, Monday-Friday, Free local calls, Full cable TV with HBO, outdoor pool, interior corridors, in-room coffee and special rates for AAA and AARP members. Hilton Garden Inn, Courtney Dr, Scheduled to open 3 Qtr of 2006. Holiday Inn Express Hotel & Suites, 1120 Veterans Memorial Pkwy, (205) 464.4000, 1-877-477-4674, . 109 Rooms. 4-story hotel with 20 suites. Interior access, rooms have micro-fridge, coffee maker, iron, ironing board, desk with data port with High speed internet access. Complimentary continental breakfast. On site fitness center. Outdoor pool. Home Town Suites, 1650 Veterans Memorial Pkwy, (205) 553-3828, Fax: (205) 553-3641, . Extended stay lodging in Tuscaloosa. Located off of McFarland Blvd. Near University Mall, Home Depot and Super Target. Property offers: Fully equipped kitchens, recliners in every suite, expanded cable with HBO, weekly housekeeping, iron and ironing board in suites, free local calls for the first 30 minutes, 2-line conference phones, caller I.D. on phones, speaker phones, voice mail, data port, small pets accepted, health club privileges, complimentary grocery service, and guest laundry available. Howard Johnson, 4810 Skyland Blvd, (205) 469-1500, Fax: (205) 556-1330, 1-800-932-4056, . 52 rooms with Micro-fridges. Some suites& some jacuzzi rooms. All rooms have hairdryers, iron and ironing boards, high-speed internet, 27 " TV. I-20/59 at exit 76. 7.2 miles from downtown. Jameson Inn, 5021 Oscar Baxter Rd, (205) 345-5018, Fax: (205) 345-5828, 1-800-JAMESON, . Experience the best in Southern Hospitality at Jameson Inn. Featuring 25” TV with HBO, Swimming Pool, free newspaper, fitness center, free breakfast, king premium rooms also available. Next to a number of restaurants. LaQuinta Inn, 4122 McFarland Blvd, (205) 349-3270, Fax: (205) 758-0440, 1-800-531-5900, . This property provides convenient access to shopping, dining and local attractions. The LaQuinta Inn-Tuscaloosa features popular amenities, including a daily complimentary continental breakfast featuring Maxwell House coffee, Otis Spunkmeyer pastries, Yoplait yogurt, fresh fruit, milk and juices. Tuscaloosa is relatively safe, but as with all cities, there is crime in some places so common sense is advised. The southern, western as well as eastern/Alberta City areas of Tuscaloosa can be dangerous and it should be avoided at night. A general rule of thumb is, the farther you are from the University, the worse the area is. The Westside of town which surround a few miles outside the campus of Stillman College is a very high intense crime rate. With a lot of robbery, assault, drug activity and as well a murder voilence over the past few years. Neighborhoods to avoid in the Westside community due to the rise of crime activity is the MLK Blvd. area, Hays Court, Mckenzie Court, John English/29th Ave, Royal Pine, Lincoln Park, Herman Ave, 16-29th streets, Beech St, Culver Rd, Robertson Gardens and other numerous areas. The community is recently considered the cities "Westend" community. Made up of a 98 percentage of African American residents, Westend is one of the cities highest poverty areas. The crime hasn't only been within the Western cluster neighborhoods, but also with the Southern & Eastern metro side of town. The Tuscaloosa Police Department has indicated that the motive for some of the crime voilence is due to "the tension" between neighborhoods from other areas of the city. As well as the notorious drug business in the city, which some of these areas has adopted the slang terminology and phrase, "Drug City" which is the replacement of "Druid City", which Tuscaloosa can also be referred to. Unlike the Western side of town, the "Eastside" of town which is stretched through the middle of the city is divided through the cities busy 15th street, this includes Alberta City, the more precise area of voilence. This area has become a very intense crime area over the years. With a melting pot community the "Eastside" is a bigger area, therefore the crime is more intensive and more common. This page was last edited on 1 August 2018, at 21:42.